don't parade in my rain: See You in Hell, Harry! Oh, Snuffy! 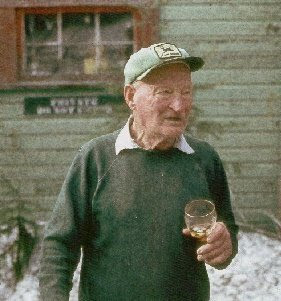 Andy Capp's American cousin! We used to have some Mt St. Helen ash Mr. Lombardo brought us. Might've even had a little bit of Harry in it. Great stuff. Your nostalgic grasp of three decade-old cultural minutiae reaches into crevices even Google can't touch. 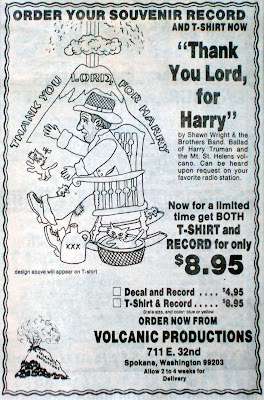 The only references to "Thank you lord, for Harry" I found were from a Methodist Web site and a Harry Potter quiz. Pretty good Snuffy. Lifting spirits. It's got two meanings. Thank you Qner. I've always wanted to touch your ungoogled crevices with my minutiae. I set 'em up. You knock 'em down.